These are the tools we use at Music Radio Creative to create awesome sounding audio. They can help you in creating the perfect recording studio too. All the resources on this page are recommended because we actually use them at MRC. Some of the links on this page are affiliate links. If you decide to make a purchase we will make a small commission from the sale at no additional cost to you. 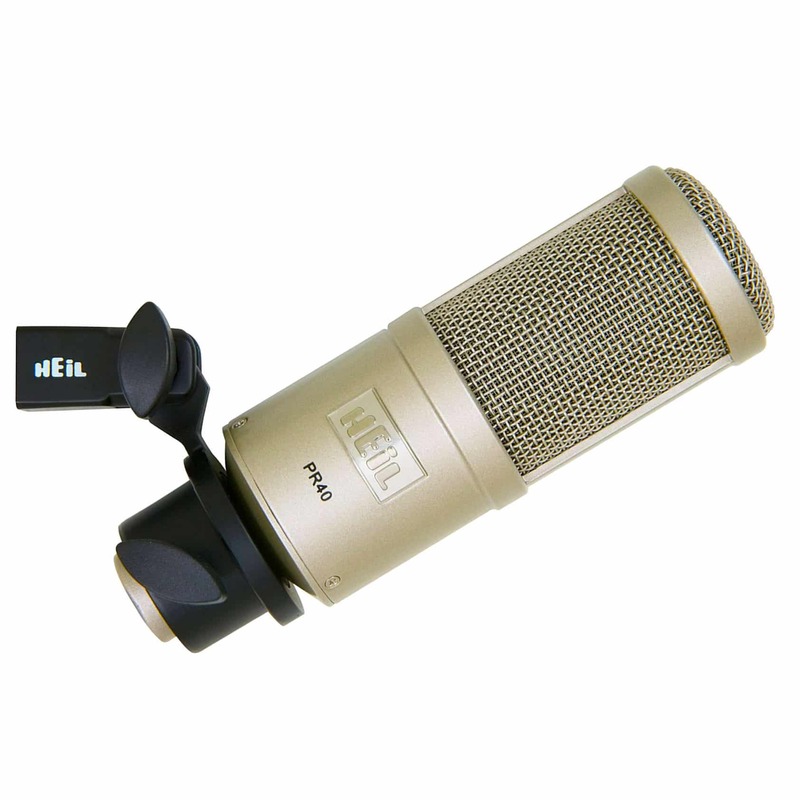 We have two Heil PR 40 microphones in our podcast studio. They are dynamic microphones so you get the top notch audio without the background noise. They are huge broadcast style mics in design and attach perfectly to any studio desk using the PL2T boom arm and hold in place with the PRSM shock mount. 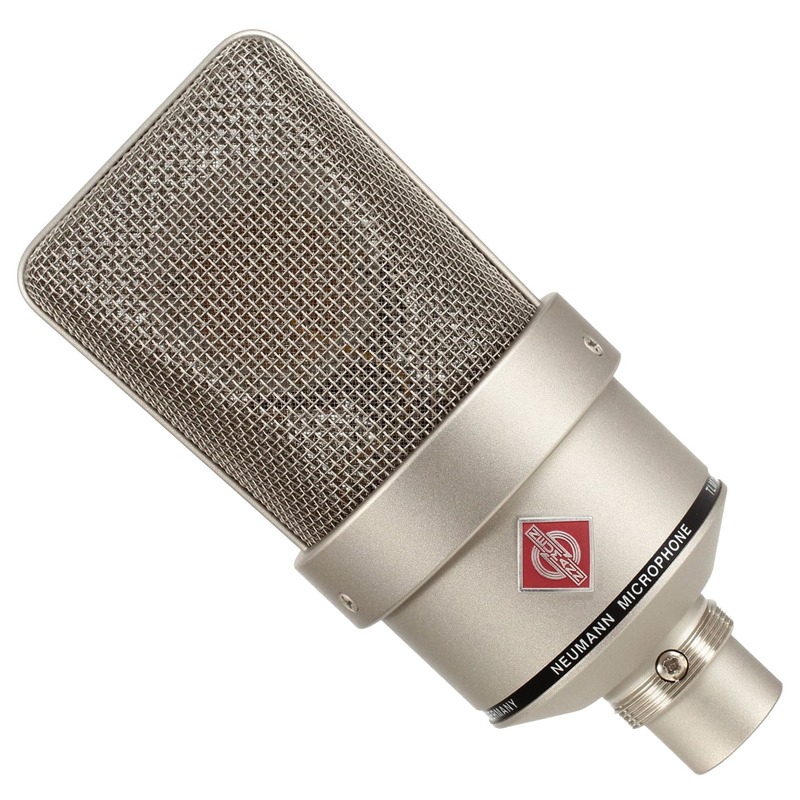 Neumann make great vocal microphones that are perfect for recording voice overs or singing vocals. The crispness of audio without the need for a fancy mic processor is fantastic. Sibilance and plosive pickup is much less than other mid-range microphones. The TLM 103 is a world class microphone! 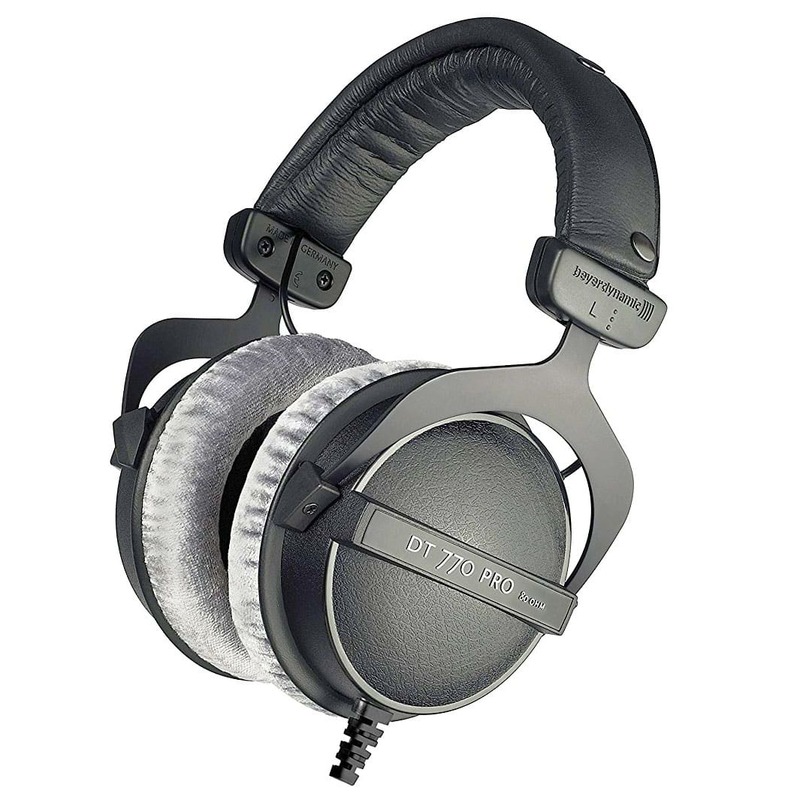 The DT770 PRO headphones are high quality and comfortable. When you’re editing and producing audio for hours on end you need headphones that will feel comfortable. The cushions on these headphones make for a great experience. Most use cases only require the 80 Ohm version however the 250 Ohm edition comes with a curled cord if you prefer that too! This is the one DAW (Digital Audio Workstation) we use the most – 95% of the time – at Music Radio Creative. It started life in the mid-1990s as Cool Edit Pro and continues to develop world class audio editing features as part of the Adobe Creative Cloud. You can get a single app subscription to Creative Cloud but if you touch video, photos and web code then the full app plan is the way to go! If you’re not ready to pay for audio editing software it’s easy to get started and learn the basics with Audacity. It’s free to download and is developed by a committed open source community. Audacity works on Windows, Mac and Linux making it perfect for cross-platform audio editing. It’s not as slick, fast or advanced as Adobe Audition but Audacity is great for beginner audio editors.